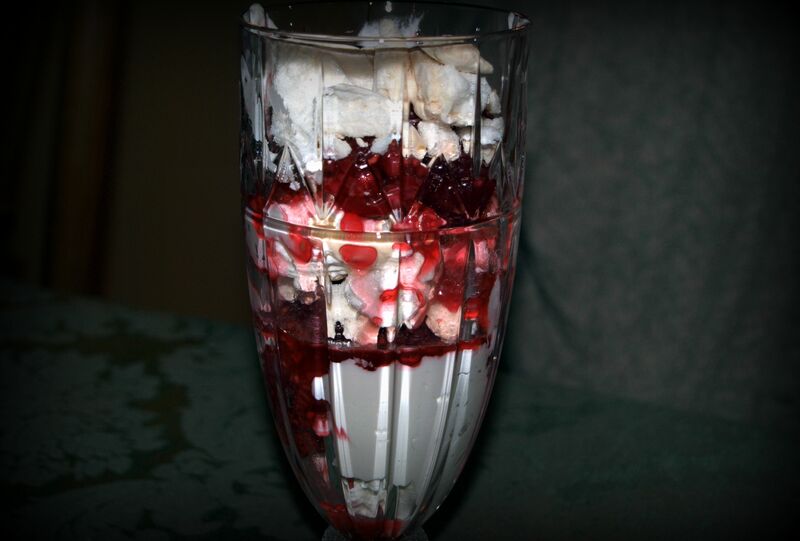 If you’ve never had Eton Mess for dessert, you’re missing out. It’s a delicious combination of fresh berries, meringue and whipped cream. It’s easy to make and impressive to serve. Even if you’re not a kitchen person, this is practically no fail. The best part is most of it can be prepared ahead of time! With stand mixer or hand mixer, beat the cream, the remaining 3 tablespoons of sugar, and the vanilla together on until it forms firm peaks. Use a champagne flute or other decorative glass, and layer a spoonful of the whipped cream, a spoonful of the berries, and then a few broken meringue pieces. Repeat, once or twice to fill dish. Serve immediately. Makes 6. 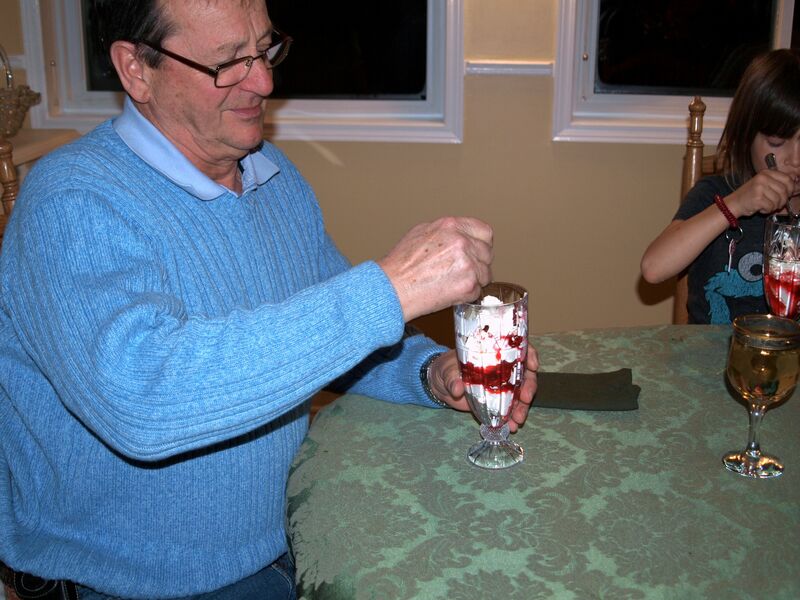 Grandpa's especially love Eton Mess.